Hongdae Orange Guesthouse is located just a 5-minute walk from the popular Hongdae Street and offers simple complimentary breakfast of toast and coffee along with private and dormitory rooms. Each air-conditioned and heated rooms include bunk beds and private lockers. Towel and linen are provided for every guest. Bathroom and toilet are shared. 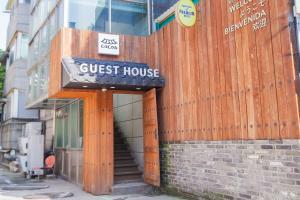 Guests are free to use the shared lounge and kitchen areas as well as the terrace at Guesthouse Hongdae Orange. Hongik University Subway Station (Line 2, Airport Railroad and Gyeongui Line) is within a 5-mintue walk from the hostel. 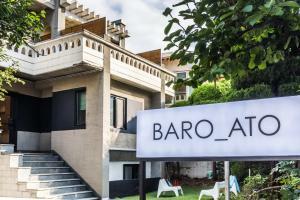 A range of dining options, street shops and bars are within walking distance of the property. Gimpo Airport is 35 minutes away and Incheon International Airport is 1 hour away via subway. When would you like to stay at Hongdae Orange Guesthouse ? This twin room features air conditioning and heating. Bathroom and toilet are shared. This triple room has air conditioning. Bathroom and toilet are shared. This quadruple room features bunk beds and has air conditioning and heating. Bathroom and toilet are shared. The rate is for 1 person in a dormitory room that accommodates up to 8 guests. The dormitory room has air conditioning and heating. Bathroom and toilet are shared. This bed in dormitory has a balcony, electric kettle and air conditioning. Bathroom and toilet are shared. This bed in dormitory features air conditioning. Bathroom and toilet are shared. This double room has a kitchenware, air conditioning and stovetop. Bathroom and toilet are shared. This family room has air conditioning. Bathroom and toilet are shared. Each day we'll check prices and send you an email for your selected dates at Hongdae Orange Guesthouse. If you don't have specific dates but would like to check prices for say next weekend or say next month we can check the price too. Click to write a review and share your experience of Hongdae Orange Guesthouse with other travellers.